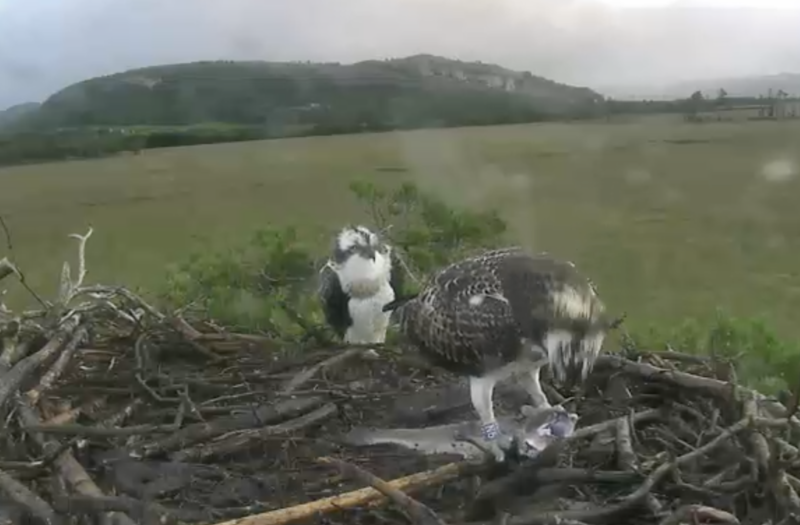 A whale of a fish just brought in by YW , all three on the nest, can't quite make out the ring number of who has it. Huge fish for 9N with a sibling shouting behind. Good morning Alison. Don't be late for the boat! Morning Mike. Don't worry, there's plenty of time yet! 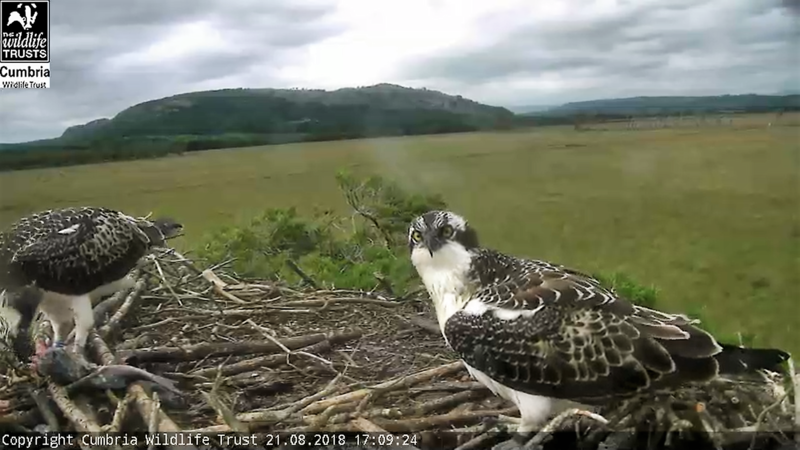 I had been keeping an eye on the nest cam but have not seen any ospreys on there for 3 or 4 days, though could have missed them of course! I went to the reserve today, and was told that one had been seen by the nest this morning, but none were in evidence just then. They think the female has gone, and apparently 3 were seen I think this morning, at Leighton Moss RSPB reserve, not far away. "Empty nest syndrome. A great season. 6 Cumbrian nests fledged 14 chicks. Our grandchicks were the third generation since returning from extinction in 2001. Thanks to my brilliant @cumbriawildlife colleagues and all our visitors and supporters. Roll on April! #FoulshawOspreys"